Long-time Ghosthead Greg Miller explains why you won't be putting this game down anytime soon once it comes out! 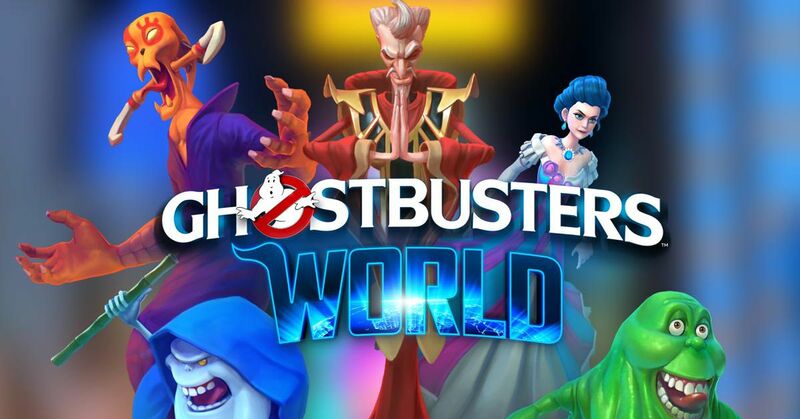 A brand new walkthrough video featuring long-time ghosthead Greg Miller was released and features the most comprehensive and revealing overview of Ghostbusters World, a groundbreaking augmented reality mobile game for iOS and Android coming later this year, we've seen to date! Ghostbusters World includes innovative AR battle mechanics, allowing you to bust ghosts in your neighborhood and beyond! You can suit up your character with equipment from all three films. The game also features an RPG-style multiplayer mode and a complete story mode created by the IDW Ghostbusters writer and illustrator dream team of Erik Burnham and Dan Schoening! The ghosts you can collect and level up in Ghostbusters World are numerous and consist of an instantly recognizable array from the films, television shows, toy lines and video games. Fans can even team up in a special multiplayer raid mode to battle the Stay Puft Marshmallow Man who is joined by the Marshmallow Minions from the blockbuster 2009 Ghostbusters: The Video Game! The game will be available worldwide later in 2018 and is now in soft launch in select countries for Android devices. Sign up for a Ghostbusters.net account and be among the first to be notified of all things Ghostbusters, including Ghostbusters World.